Xiaomi’s Black Shark gaming smartphone is now official. The phone has been launched in China starting for a price of RMB 2,999 (roughly Rs 31,200). 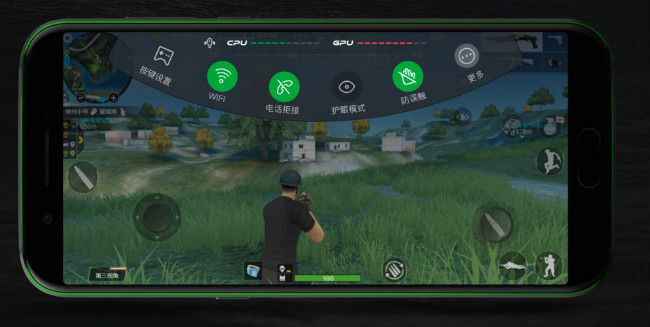 The Black Shark gaming phoneWhere to buy 1999 1999 which is backed by Xiaomi is aimed towards smartphone gamers and will take on the Razer phone which has so far been the only gaming smartphone available, but with the Black Shark phone, it now has a competitor. The Xiaomi Black Shark is an entirely new device with hardware customised to bring out the performance mobile gamers including a liquid cooling system, a dedicated button, detachable gamepad and more. The phone sports a 5.99-inch Full HD+ IPS LCD display with coverage of 97 percent DPI-P3 colour gamut. The display does not boast the 120Hz refresh rate that was Razer Phone’s USP, but to make up for it, Xiaomi dialled up the peak brightness to 550 nits. Under the hood, quite expectedly is the Snapdragon 845 chipset with Adreno 630 GPU. Considering how long hours of gaming heats up the phone, Xiaomi has equipped the phone with a multi-stage integrated liquid cooling system that can bring down the temperature by up to 8 degrees Celsius. There is no microSD card, and Black Shark offers two storage variants — 64GB and 128GB alongside two RAM variants, 6GB and 8GB. Powering all that is a 4,000mAh battery. 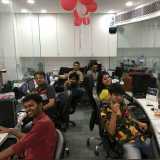 The phone also has a new image processing chip from Pixelworks which offers intelligent motion compensation technology, dark scene detail processing, image enhancement, all of which combines to provide better and smoother video quality while gaming. To ensure there’s no lag while playing online on the phone, Xiaomi has adopted a new ‘X’-style antenna design which prevents signal disturbance when holding the phone in a landscape or vertical orientation. Gaming phoneWhere to buy 1999 1999 notwithstanding, the phone also doesn’t cut down on the photography chops as well. There is a dual camera setup at the back — 12 MP f/1.75 + 20 MP f/1.75 with 6P lens and a dual-LED flash. The primary sensor has a 1.25um while the secondary sensor has a 1um sensor size. On the front is a 20-megapixel with f/2.2 aperture. While there is a single speaker, the earpiece doubles up as another while the mic is tweaked for gamers to allow voice calls and radio chat in-game without interfering with gameplay. Finally, Xiaomi is also offering a Black Shark Gamepad with the phone. The gamepad has a 340mAh battery and connects to the phone via Bluetooth. There is also a dedicated ‘Shark’ button on the left that quickly switches the phone to gaming mode to route all resources to the game. The phone runs on Android 8.0 Oreo with JOY UI on top which is a custom launcher that is different from Xiaomi’s MIUI. The phone will be available only in China on JD.com. Pre-orders begin April 20 and will be available in either Polar Night Black or Sky Gray. The lower 6GB/64GB variant will retail for CNY 2,999 (Rs 31,200 roughly) while the 8GB/128GB variant will cost CNY 3,499 (roughly 36,300).